Come see the city from our view! 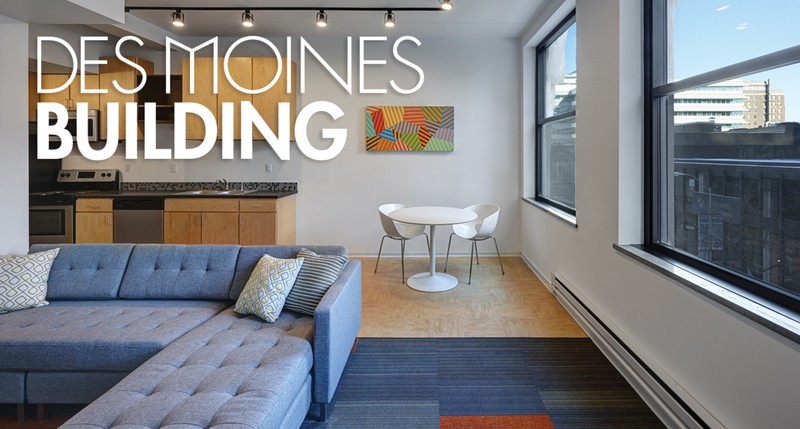 The Des Moines Building is an amazing historic building featuring 136 residencies in Studio, 1, and 2 bedroom configurations with modern interiors. The Des Moines Building has two stunning rooftop decks, revealing an incredible view of downtown Des Moines. We are pet friendly.